Because most of us aren't millionaires, there are going to be times when you have to decide whether to scrimp or splurge on your beauty products. For me hair oils and hair masks are things I will happily spend on. But when it comes to the basics of actually cleaning my hair, I'm not as fussy. You've heard me mention bHave products countless times. I adore the "Rescue Intense Shampoo* & Conditioner* and feel like they were made for me. While they're pricey ($43.95 each), a bottle will last me about 6-8 months (depending on how often I wash my hair)! You really only need a small amount as it's powerful stuff. Whenever I use these, my hair actually behaves! My hair is stronger, glossier, smoother and healthier. These are really worth their price tag. The only other product that has rivalled the bhave products are the Wella SP LuxeOil range. I first tried their hair mask and oil and fell in love. When it came to trying out the shampoo a few weeks later I honestly didn't have high expectations as shampoo's just clean your hair. But this shampoo cleans it, without making it feel dry. It also has an amazing sweet smell. I've used it with the other products in the LuxeOil range and also with other brands products and they work well both ways. If I have the money, it's worth the investment to buy a salon quality shampoo and conditioner. I "wear" my hair everyday, so anything that makes it easier to style is worth the price tag. When budget is an issue, I'm happy to scrimp on shampoo and conditioner and head to either the supermarket or Priceline. 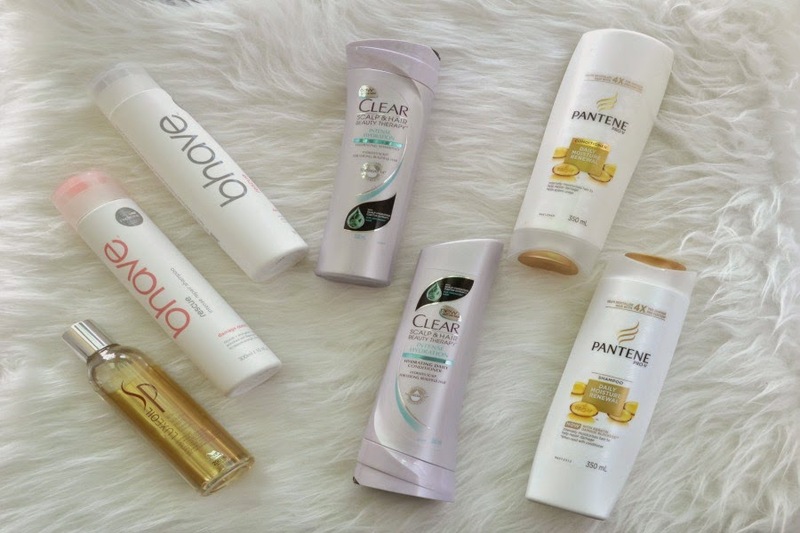 Coles, Woolworths, Priceline and Chemist Warehouse constantly have haircare on sale and you can always pick up a bargain if you take a few minutes to check out the stores website for specials. 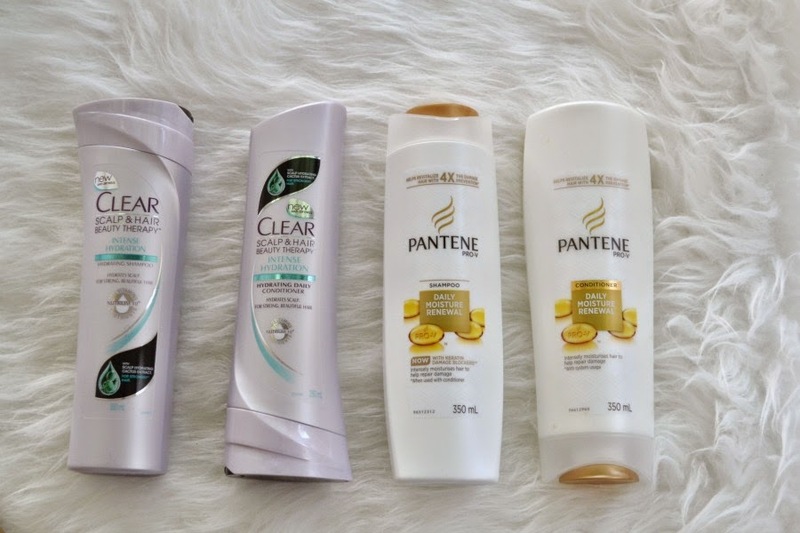 There are some great brands available at the supermarket/chemist that will help deal with your hair needs. Because my hair is dry, I look for formulas that help to give my hair moisture and heal any damage. Clear Scalp & Hair Beauty Therapy Intense Hydration Hydrating Daily Shampoo* & Conditioner* or the Pantene Daily Moisture Renewal Shampoo* and Conditioner* are two great options for anyone that wants something that will hydrate hair for under $10! The key function for me when it comes to a shampoo and conditioner duo is the fact that I can use them without needing a mask or oil afterwards and my hair is still soft and hydrated. A good way to get your more expensive products lasting longer (besides not wasting them by using too much) is to use them every second wash and then use your budget products. This way you still get great results, while being able to use them for longer. Do you prefer to spend or save when it comes to haircare? I have only just started investing in haircare because I thought drugstore products were good enough. But after doing a lot of research into the effect that certain ingredients have on my curly, dry hair, I definitely want to continue investing in products that will benefit my hair in the long term. I recently won a set of 5 bhave products and I've got to say I will find it hard to return to using anything else! Bhave products really are worth the extra expense. They make a huge difference to my hair!